Welcome back my crafty friends! 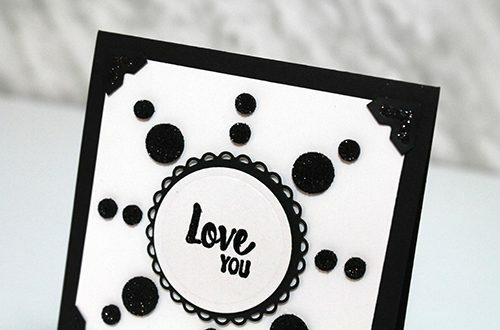 Today I have a super cute sparkly card to share created with some of my go-to favourite adhesives. 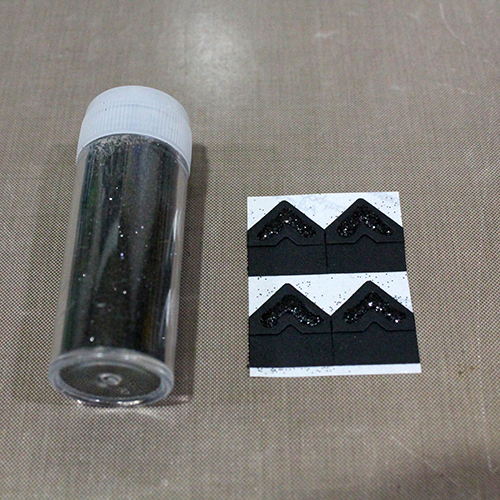 Let’s Wear Our Adhesive on the Outside! 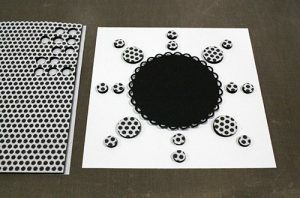 Start the creation by gathering your main supplies and cutting the basic cardstock layers. 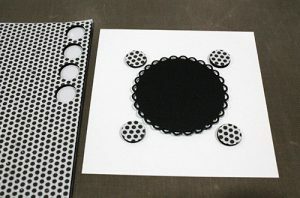 I used circle dies to cut the circle and scalloped circle. I started by adding a little sparkle to the Black Creative Photo Corners. 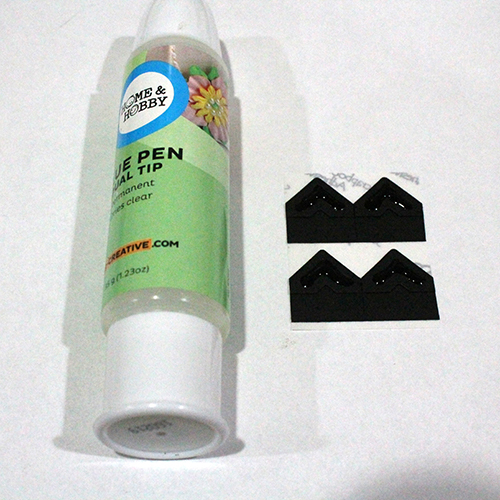 Using my Dual Tip Glue Pen I added adhesive to the middle embossed portion of each Creative Photo Corner. 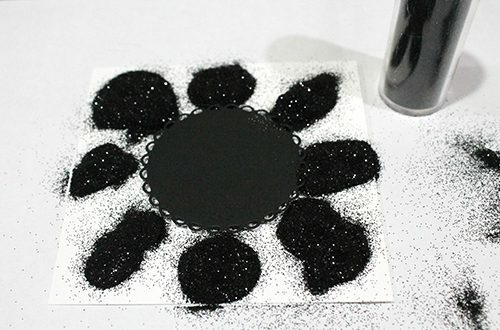 Add black glitter and VOILA! Super cute sparkle. The next step is to create the symmetrical design on the white cardstock layer. Use that black circle as a guide for now, but don’t adhere it down yet. I started with the large 3D Foam Circles, then came back and added the smaller 3D Foam Circles. Once again, add the glitter and SPARKLE! Once glittered I was able to add my cardstock circles, this time using regular 3D Foam Squares. 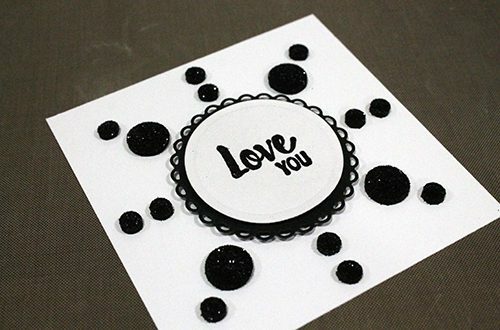 I stamped and embossed my simple sentiment using black embossing powder. 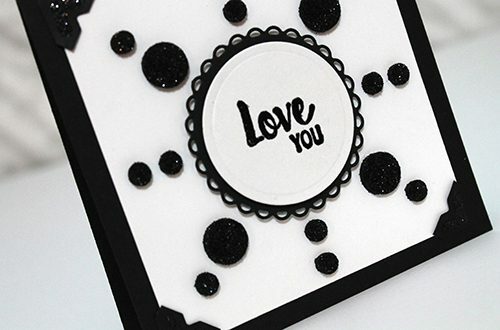 Add the white cardstock layer to the black cardstock card base using those glittered Creative Photo Corners. 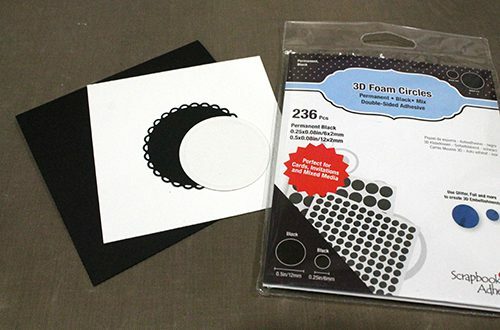 This entry was posted in 3D Foam Circles, 3D Foam Squares, Adhesives, Beginner, Cards, Crafts & Tutorials, Creative Photo Corners, E-Z Runner® Dispensers, Embellishments, HomeHobby by 3L, Other Adhesives, Permanent Adhesive, Skill Level, Tutorial, Wear your Adhesive on the Outside and tagged 3D Foam Circles Black Mix, Card, Card Making, Creative Photo Corners Black, Creative Photo Corners Mix Pack, Dual Tip Glue Pen, E-Z Runner Permanent Fine, Glitter, HomeHobby by 3L, Tutorial, Wear Your Adhesive on the Outside. Bookmark the permalink.